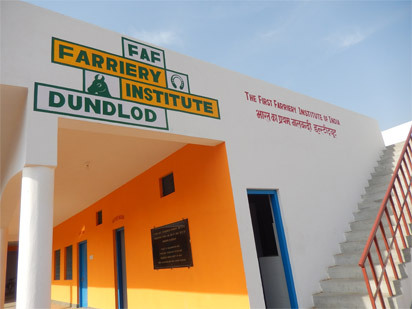 The FAF has opened its first Institute in March 2013, in Rajasthan, North India. This first Institute will function as a pilot project for founding future teaching establishments in other locations. This pilot project has come about thanks to the significant financial support of the Hans Wilsdorf Foundation, and the generous contribution of Kr. Raghuvendra Singh Dundlod who donated a piece of land to FAF for the construction of the Institute. After a year of construction, The official inauguration of the building took place in April 2nd 2014. 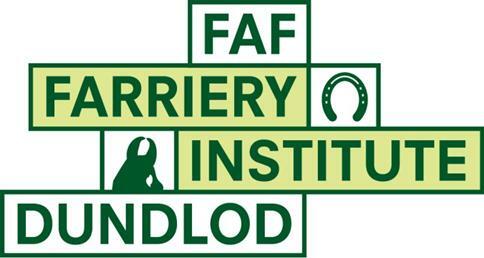 FAF-FID’s building offers now the best facilities to teach & learn farriery and to accomodate volunteers & students. FAF is privileged thanks to the unfailing support of Kr. Raghuvendra Singh Dundlod, better known as Bonnie Singh Dundlod. His donation of the land for the Institute, his logistical support and his personal follow-up of the construction have been of a huge help. He also willingly provides the students and teachers access to his personal stables for their practical work in trimming and shoeing the horses. Bonnie Dundlod has been working for many years towards the preservation and promotion of the Marwari breed of indigenous horses, via his activities as Secretary General of the Indigenous Horse Society of India (IHSI). The Marwari horse is easy to recognize with its crescent-shaped ears! Bonnie Dundlod is close to all the Marwari breeders, he organizes an annual event which brings together the region’s principal breeders.